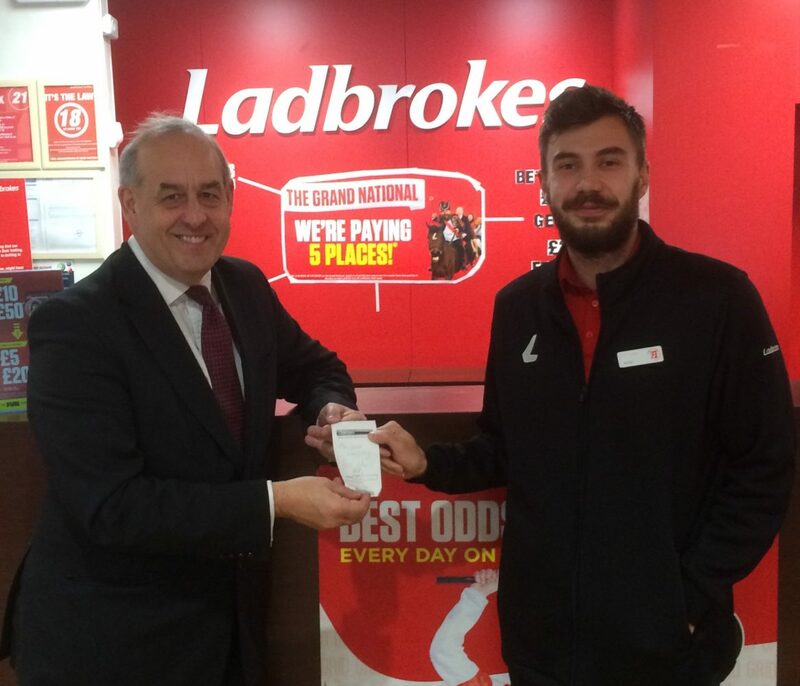 I have taken up the opportunity given by William Hill in Flint to place a charity bet. 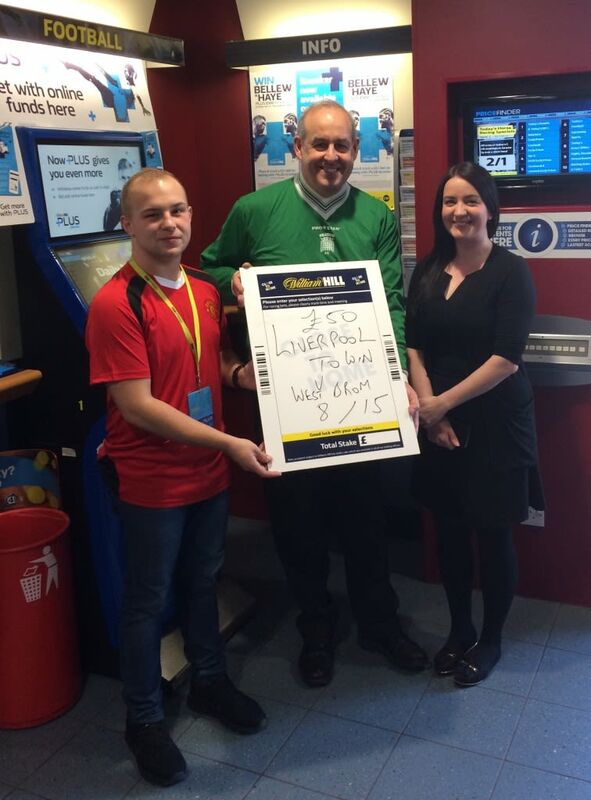 This bet has been provided by William Hill to show support for their campaign ‘Football Shirt Friday’. They are running this campaign in partnership with the Bobby Moore Fund for Bowel Cancer Research. I was given a £50 charity bet on a market of his choice and he chose to put it on the Liverpool v. West Bromwich Albion game. The winnings will go to a local charity of my choice. For the third year running, William Hill are sponsoring and taking part in Football Shirt Friday 2017 in partnership with the Bobby Moore Fund, as part of our Close to HOME community commitment, which looks to support the areas where we are based as a company. For a £2 donation, William Hill colleagues and customers will be wearing their shirt on Football Shirt Friday itself, 27th April. Alongside promoting bowel cancer awareness information in all their shops over the last two campaigns, William Hill as a company have contributed just over £144,000 in sponsorship and fundraising to the Fund in that time and this year are funding a project to increase participation in a nationwide bowel cancer screening programme. I am very grateful to William Hill for giving me this opportunity to place a charity bet and to help raise awareness of the fantastic Bobby Moore Fund for Bowel Cancer Research. I have long campaigned in Parliament to raise awareness of bowel cancer and this is another great way that businesses and people can come together to raise money for a fantastic cause. In April alone 188 people in Wales will be diagnosed with bowel cancer and 77 people will die of the disease. It’s the nation’s second biggest cancer killer and that is why we need to redouble our efforts to tackle it. I hope that people will take part in Football Shirt Day on the 27 April 2018 to raise money to improve our understanding of this terrible disease. I’m sure Liverpool won’t let me down this weekend against West Brom and I look forward to giving the winnings to a local charity.